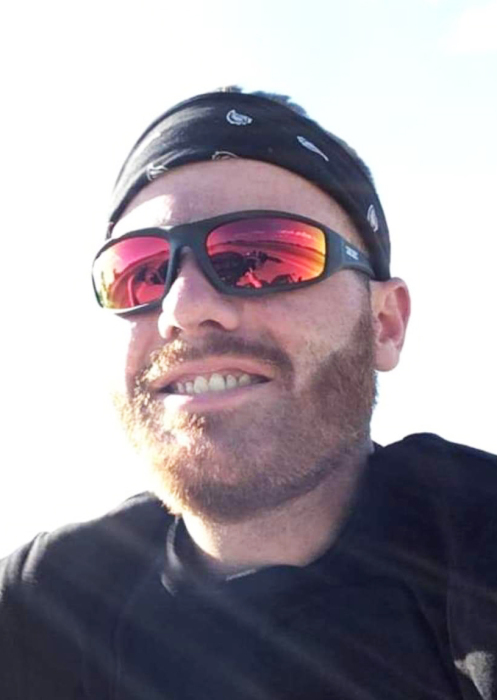 Timothy (Tim) Jon Spatenka, 27, of Owatonna, MN died Nov. 19, 2018 at St. Mary’s Hospital in Rochester. Tim was born August 19, 1991 in Owatonna. Known to his family and friends as TimMay, TimOthy, Timbae, Red Beard, Your Favorite Ginger, and Grandpa’s Second Favorite, he was one of four siblings. After graduating from Owatonna High School, he continued to develop skills that would lead to a career in agriculture, building construction, and automotive mechanics. Tim was highly skilled and would complete a project from his design through to a finished product of professional quality; and although rare, in some cases a loose interpretation of “professional” and “quality” is needed. He was a very versatile man who would plow snow, plant and harvest a crop, remodel a bath and kitchen, and build Beanbag boards for the weekend party. When it came time to play, Tim loved to hunt and fish, and was especially fond of cold mornings waiting for the ducks to fly overhead. And he always caught the biggest fish, particularly when he was the only one fishing. His active lifestyle kept him healthy and fit, and he even participated in Medford’s first Annual Fire-5 5k Run/Walk. As a side note, Tim will be dearly missed by Coors Light and Marlboro, both of which he enjoyed promptly after finishing the race. One of his favorite hobbies appeared to be keeping a certain Chevy pickup running long after it shouldn’t have. Tim’s loving heart and outspoken drive will be missed dearly by his mom, Sara; Dad, Jon; brother, Trevor; sisters, Teri, with husband, Alan “Tex” Bryan, and Taelor; and many aunts, uncles, cousins and friends. There are not enough words to describe his love for others, nor our love for him. He joyously spends time in the company of his Grandpa, Kenneth Schuler; Grandma, Gloria Schuler; and cousin and best friend, Justin Schuler. Friends may greet the family at Brick-Meger Funeral Home on Friday, Nov. 23 from 4-7 pm, and one hour before the 11:00 am funeral service on Saturday, Nov. 24 at St. John Church in Owatonna.